Anthocyanins – Anthocyanins are plant pigments that give berries their vibrant colors of crimson, indigo, and purple. Studies have found that acai berries reduce the level of low-density lipoprotein (LDL) or “bad” cholesterol. Bilberries prevent angiotensin-converting enzyme (ACE), a substance that promotes high blood pressure, while raspberries can reduce triglycerides in the blood. Blueberries have powerful anti-inflammatory properties that can inhibit harmful fat peroxidation. Coenzyme Q10 (CoQ10) – This nutrient helps keep the heart energized. Research has shown that consumption of CoQ10 improved the survival rate of people – even those with severe heart failure. At the same time, CoQ10 reduced incidences of hospitalization. Pyrroloquinoline quinone (PQQ) – Found in plant foods like parsley, green peppers, papayas, and tofu, PQQ supports healthy mitochondrial function and energy production. Moreover, this vitamin-like nutrient helps create new mitochondria. According to research, it is four times more potent as an antioxidant than vitamin C.
Hawthorn – In traditional medicine, hawthorn is used to treat high blood pressure, irregular heartbeat, and shortness of breath. In Europe, hawthorn berries are approved for heart failure treatment. Hawthorn can boost the heart’s ability to utilize oxygen, increase the heart’s maximum workload, and enhance exercise tolerance. Astaxanthin – Found in certain aquatic plants and fish such as salmon, astaxanthin possesses anti-inflammatory and antioxidant properties. It also improves cholesterol levels, which in turn regulates blood pressure and prevents blood clots. Studies have shown that it improves blood circulation and works better than cholesterol-reducing statin drugs. Magnesium – This mineral, found in green leafy vegetables, pumpkin seeds, yogurt, almonds, dark chocolate, and black beans, improves inflammatory markers of heart disease, such as C-reactive protein and NF-kappaB. It also regulates the production of cholesterol. Magnesium has also been found to reduce plaque formation in arteries, at the same time protecting artery linings. These are two key elements that help prevent atherosclerosis. Vitamin C – Deficiency in vitamin C can contribute to coronary heart disease as it can cause lesions and cracks in the artery walls. These cracks enable lipoproteins and cholesterol to enter arteries, which in turn create atherosclerotic deposits and trigger heart attacks and strokes. Consumption of this vitamin causes a decrease in lipoproteins, according to animal studies. 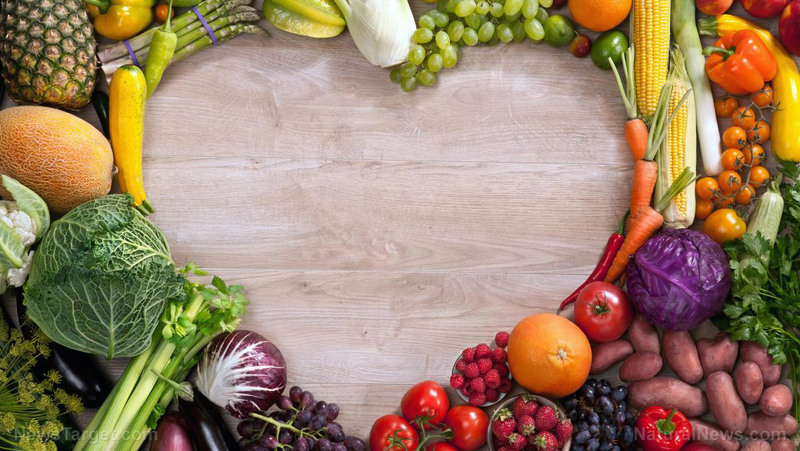 Quercetin – Quercetin, a plant-based flavonoid, can protect the heart from oxidative damage. Research has found that consuming quercetin reduces the risk of heart attack initiated by underlying cardiovascular conditions. It also lowers cholesterol, improves circulation, regulates blood pressure, and reduces fat in the liver and abdomen – all of which prevent heart attack. Moreover, it increases blood plasma levels of good nitric oxide, relaxing and dilating coronary arteries. This nutrient can be found in dark leafy greens, fruits, vegetables, and green tea. Bitter bergamot – Bergamot is a type of Italian orange that is rich in antioxidant polyphenols. It primarily lowers cholesterol, but also offers a strong protection against the free radicals that can damage artery linings and promote atherosclerosis. Read more news stories and studies on preventing heart disease by going to Nutrients.news.